Modern horsekeeping puts your horse at odds with Mother Nature. 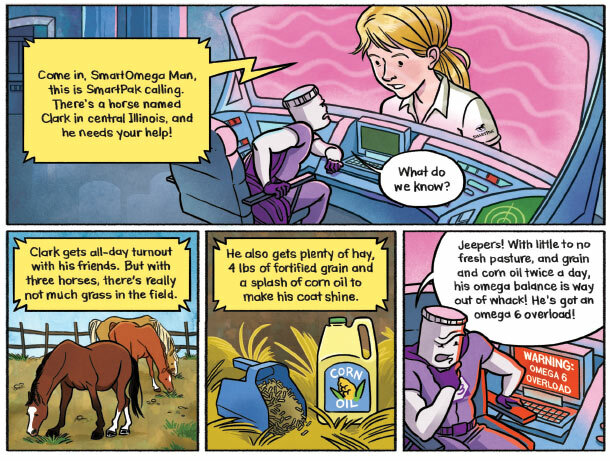 Fortunately, there is a hero whose sole mission in life is to help bring your horse’s diet back into balance. 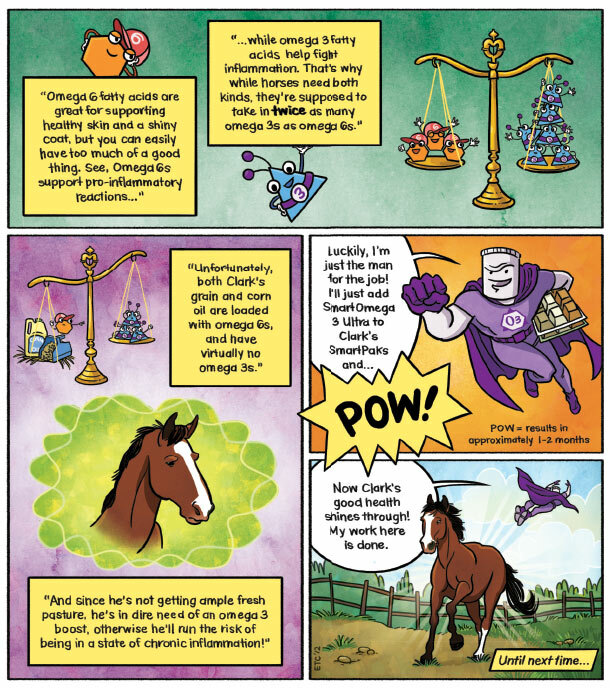 This caped crusader knows that supplements can provide super-powerful support and help rescue your horse from the dangers of an omega imbalance. Join him on his latest adventure, and learn more about designing an ideal diet for the modern horse.